Sunday January 6th saw a special Grandparents’ Day at TBE’s Torah School. Capably organized by Racheli Morris, our TBE Educator, there were crafts and activities, prayer in the Sanctuary, and a delicious brunch. 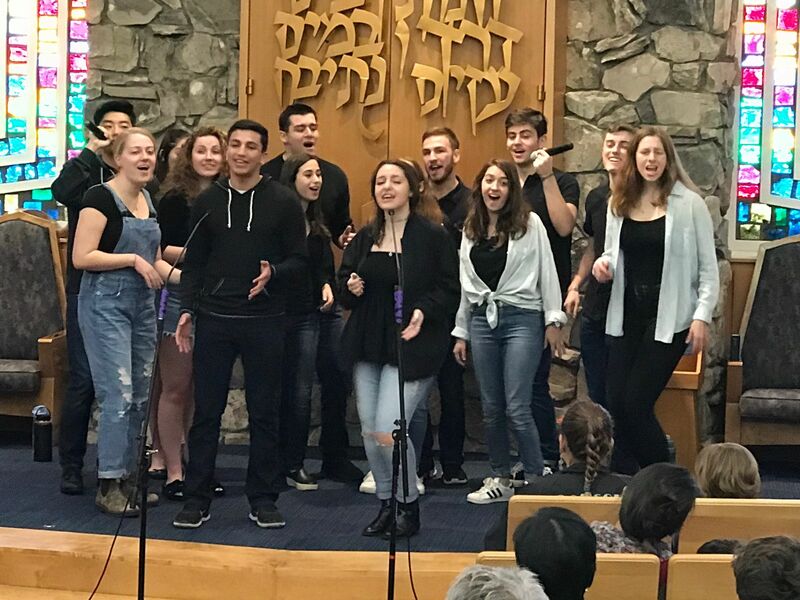 The culmination of the morning was a fantastic performance by the critically acclaimed Jewish A Capella group from Tufts University, Shir Appeal. Thanks to the hard work of Cantor Ilan and the availability of monies in his Concert Fund, this musical treat was hosted at TBE as part of their 2019 LA Tour over the winter break. You can see and hear their wonderful music below, and be amazed at how their voices blend in such beautiful harmonies they themselves compose, and wonder at their vocal simulations of percussion lines.